We invited 400 people in Balti to attend our Christmas Concert on Saturday, and we had a great turnout. There were more non members than members in attendance. 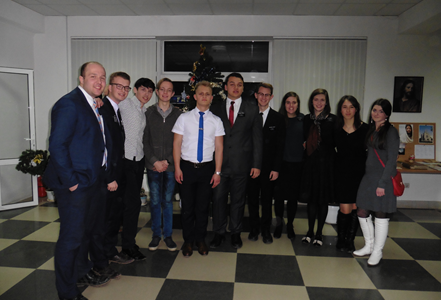 4 Missionaries from Romania came and performed beautiful Christmas music. There is an Elder right next to Elder Vashenko, his name is Elder Parrot. Wow, he is bound to be a professional singer after his mission, he is from Australia. We had about 60 in attendance.